A/Prof. Christopher Low Wong Kein is an Ear Nose & Throat (ENT) specialist with over 25 years’ of experience. He has a special interest in treating ear disorders in both children and adults. These include hearing loss, vertigo (giddiness), tinnitus (ringing/buzzing in the ear) and ear infections/cancers. He was awarded a Doctor of Philosophy (PhD) degree for his work relating to ear and is an accredited acupuncturist. Currently Adjunct Associate Professor at the NUS-Duke Graduate Medical School, he was former Head of Singapore General Hospital’s ENT Department and Visiting Specialist to the KK Women’s & Children’s Hospital. A/Prof. Low has performed more than 500 cochlear implant surgeries, including Singapore’s the first paediatric cochlear implant in 1997. A nominee for National Outstanding Clinician in the inaugural National Medical Excellence Award in 2008, A/Prof. Low has interest in research, which can improve treatment outcomes. He has shared his own research findings and extensive clinical experience through more than 70 scientific publications, mainly in international journals/books. He was the first to study and publish racial difference in anatomy of the facial nerve in the ear bone. This knowledge is important as it could help to prevent facial nerve injury during ear surgery that results in weakness of the face. A/Prof. Low has made significant contributions to the training of many ENT doctors. 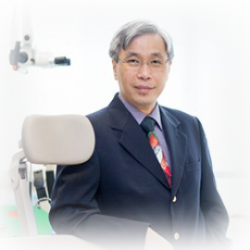 He has been the founding member and President of the ASEAN Academy of Neuro-otology and Audiology and has served as Chairman of Singapore’s Specialist Training Committee, Director of Singhealth’s ENT Residency Program and President of the Singapore Otorhinolaryngology Society.